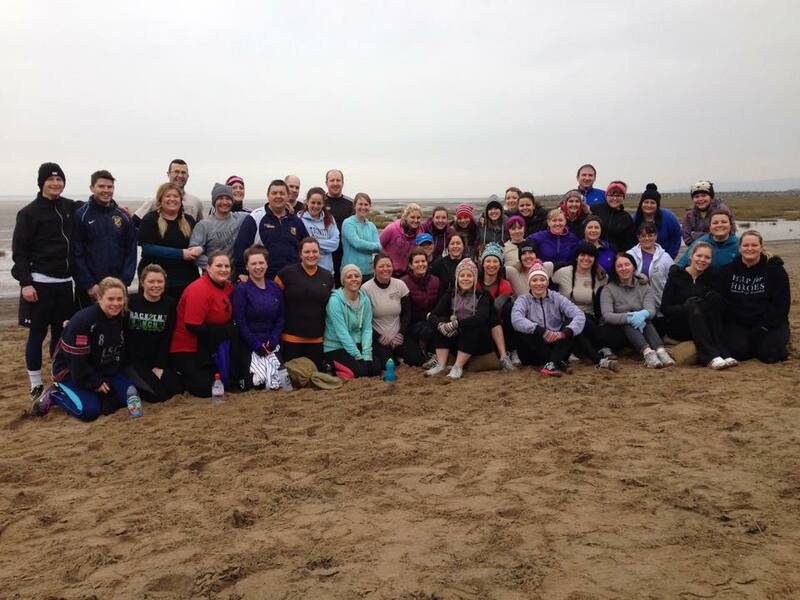 This morning saw the first session of Llanelli Beach Bootcamp of 2015. A massive 46 participants, the highest number since we started back in August 2013, turned up on a cold January morning for a sweaty sandbag session on the bay. A large number of attendees are people that have signed up to our “60 day challenge“. Having been weighed and measured over the weekend they were given a fitness test prior to the main session itself and credit to all that took part, they gave it everything they had. It’s a promising start to 2015 and we’re looking forward to helping people change they’re lives over the next few weeks. If you joined us today then why not let us know how you got on with today’s session by commenting below! If you’re still thinking about making 2015 your year for fitness then you’re welcome to join us next Sunday – or on our Wednesday or Friday sessions! Been off fitness for almost a year due to being pregnant and having baby No.2 so was very nervous about getting back into it, especially after putting on so much weight. However there was no reason to be as the atmosphere is awesome. So welcoming and friendly and nobody is judged. So glad I’ve signed up to the 60 day challenge and I’m looking forward to change. I love the feeling you get after exercising, everything hurts!! !